Eighty kilometres east of Kraków at the crossroads of two ancient trade routes between Germany and Ukraine as well as Hungary and the Baltic Sea, Tarnów is easily reached by road. A good network of train and bus services running in and out of the city centre also link Tarnów with many major destinations throughout Poland. The nearest airport is Kraków Balice (90km by motorway). Buses from Kraków to Tarnów run about every 15-35mins, with the first leaving as early as 05:55 and the last bus back to Kraków departing at 21:00. In addition to standard PKS service (which can be unreliable), Voyager also makes the trip, as do minibuses, which depart across from the Kraków bus station; the journey takes between 1hr 25mins and 2hrs. Polonus and other firms also run buslines from Warsaw to Tarnów (journey time 6hrs - 6hrs 40mins). 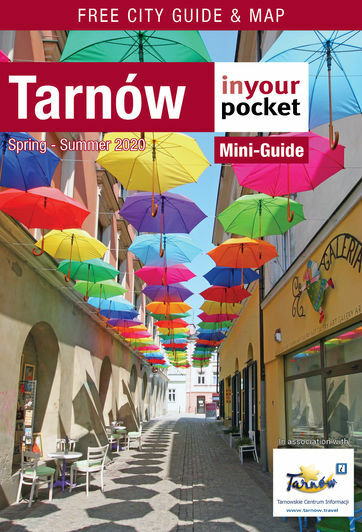 Tarnów is close to a number of major road routes in all directions and is worth considering as a place to stop off for a few hours or even for the night if you’re on a long journey. Only 80km from Kraków, thanks to the new (free!) A4 highway connecting the two cities, it's an easy, hassle-free drive to Tarnów that should take less than an hour; this is certainly the best way to get to Tarnów. Parking within close distance of the market square isn't much of a problem, and you'll find conveniently located carparks on ul. Krakowska, Plac Kazimierza Wielkiego, Plac Rybny and ul. Bernardyńska. Even better, Tarnów has two 'Park & Ride' lots - one on ul. Do Huty and connected to the train station via an underground passage, and the second north-east of the Old Town on ul. Ks. J. Marszałka; both offer easy access to public transport, and the first is free upon presentation of a local or inter-city bus or train ticket, while the second is unconditionally free. Street parking is also available and must be paid Mon-Fri 09:00 - 16:00. There's a complicated algorithm beyond our comprehension that determines the prices, which depend on how long you stay; for example: 1zł/30mins, 2.50zł/1hr, 5.10zł/2hrs, 8zł/3hrs, after which it's an additional 2.50zł for every hour over 3, or 17zł for the whole day. Handy ticket machines make it easier than it sounds, and you can even pay using your card (the future is here!). Trains between Tarnów and Kraków run frequently (about every 20-60mins), with the journey taking anywhere from 45 to 85 minutes depending on whether you take a local or express train. New high-speed Pendolino trains now make rail travel between Tarnów and other major Polish cities faster than ever, with the trip to Warsaw now possible in under 3.5 hours, and the trip to the northern city of Gdańsk possible in under 6.5 hours.